This is a quick guide on how to configure AlwaysON AGs on SQL Server 2016. 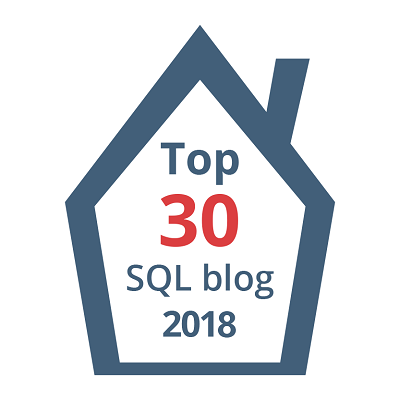 This blog post isn’t a thorough walk through, My goal in this post is to show you guys what’s different in SQL 2016 comparing with 2012 or 2014. (For detailed information on how to setup AGs in your own lab, please refer to my previous posts on SQL 2012). First and foremost, I’ve built a windows cluster with 3 nodes(No shared Storage) for setting up AGs(See below). Starting from Node SQLTrekAG1, Inserted SQL Server 2016 RC2 media, hit setup.exe…basic sanity checks…next next…blah blah. One thing you might have already noticed, all our management tools and Data tools has a separate link to install. Well, This is a huge change(I would say improvement, YMMV), in earlier versions we had option to select Client tools when selecting features and IIRC data tools was a separate download all together in SQL 2014. As mentioned earlier we no longer see client tools(basic and complete) in features selection. Choose your dirs and if you go to tempdb tab, you can see that now SQL Server is smart enough to identify number of CPUs on the box and will choose number of data files for your tempdb. Everything else should be similar to what we had in previous versions. Now after performing a standalone installation successfully, you can see SSMS hasn’t been installed. All I had to do was double click setup.exe and on Installation tab, select “Install SQL Server Management Tools”and……Oops!Bummer….! Did I already mention, you need to have Internet connection to be able to do this. Well, see below screenshot carefully again. It downloads an 815 MB file(SSMS-Setup-enu.exe), now that’s the media for installing SSMS and other SQL utilities! Store it in your media library, from now on we don’t need internet connection. Note: You can directly go to https://msdn.microsoft.com/en-us/library/mt238290.aspx for downloading the same(As of 2016 RC2). Run that executable…I got a warning about shared components already installed(I am good with that) and next to Install. That’s it! It installs .NET framework 4.6.1(took a while), Report viewer, batch parser, SSMS, SQLCMD, BCP, SMOs, Visual studio 2015 Shell(took its sweet time), SQLPS,Profiler,DTA and all those goodies. Restart if required. Now, I enabled AGs from SQL Config manager. I will install SQL by performing the same on all the three nodes and will come up with part-2 later where I setup an actual AG. Cheers! Previous Article Installing Linux (CentOS 7) on a VM.